OK, I confess. I like my Halloween festivities on Halloween night. That sounds stranger to people from outside Vermont and Rutland in particular. You see, Vermont is part of a hit-and-miss phenomenon known locally as Cabbage Night and in other, often rural, pockets of the world by names like Mischief Night. At least according to Wikipedia, which is often accurate. Cabbage Night is less popular than it once was, but traditionally involved Halloween pra nks — cow tipping may have been involved — on Oct. 30, leaving All Hallows Eve for the serious business of collecting candy. As many of you know, Rutland has a widely celebrated parade on Halloween, and the city has fairly recently decided to have the parade on the last Saturday in October, regardless of what day of the week the 31st falls on. We’re in a popular neighborhood for trick-and-treaters. It’s not unusual to see a van full of people park and then canvass our street and up and down Lincoln Avenue a couple of blocks. I did think the dad cruising up Kingsley Avenue last year with the minivan door open so his kid could ride anytime there was a gap between houses giving out treats was a little excessive, but in general, I like being on a busy street for trick-and-treaters. If dishing out a few extra handfuls of candy is the cost of living on a block viewed as welcoming and safe, I’ll happily pay it. The great thing about having the parade on the night of the 31st is that it frames the evening: The serious candy hounds show up between 4 and 4:30, often jogging from house to house to make sure they cover as much territory as possible. Hey, at least they’re working off some of those calories. And then, right around parade step-off at 6:30, everybody goes away; you can tell your own kids trick or treat is over and go to the parade if you want or have a regular evening. But with the parade on a different night last year, trick-or-treating dragged on for hours. We finally gave up and left the dregs of the candy dish on the stoop to sit down to dinner sometime around 8 p.m.. Five minutes later, there was a knock on the door from trick or treaters because the first kids to come past had cleaned out the bowl and did we have any candy for them? There’s more to it than a little inconvenience. I don’t know but suspect that the local chamber of commerce played a large part in moving the parade to Saturdays. Holidays used to be a time to celebrate, primarily, and if someone found a way to make a little money off of them, well, that was OK too. But more and more, holidays are a way to make money and if someone happens to celebrate the underlying event, well, that’s OK. 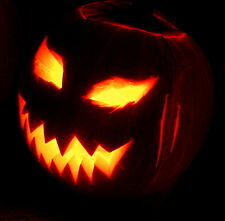 I like Halloween, but it’s supposed to be a fun evening of dress up and some harmless scares. Since it has become the second-largest holiday in commercial terms, driving almost $7 billion per year in sales in the U.S. alone, the childlike fun is going out of the event. In Rutland’s case, that chiefly means moving the parade to Saturday, which along with a push to spread media coverage of the event, means more hotel rooms booked, more restaurant meals sold and more booze pushed through the bars. It seems we can’t inconvenience the Halloween industry by having the celebration when the holiday happens. This year, the parade was scheduled for Saturday, but was postponed to Oct. 31 by the snowstorm. With some schools and daycares holding Halloween events in advance of the parade, it turns Halloween into a four-day weekend: Friday’s daycare party, Saturday’s parade, Monday’s school festivities and trick-or-treat. And that’s without Cabbage Night pranks. It’s too much. Can we have the Halloween Parade on Halloween? Please? Think of the, uh, children? I totally agree. On that note, I hate that the Christmas season seems to start the day after Halloween, and now Boxing day is “Boxing Week”. Enough already! Let’s have more fun for a condensed period of time and make it special vs commercial.